How to Make Charcoal from Agricultural Crop Stalks? In traditional agricultural crop recycling industry, the utilization rate of crop straw is about 33% in China, and the reusing rate after reprocessing is only about 23%, which is quite low and is a waste of resource. How to comprehensively utilize crop stalks has a very important meaning in resources saving, environmental protection and agricultural sustainable development, and also has a very broad development prospect. There are many different methods in reusing crop stalks, corn stalks, etc. Some can be used as energy, feed, waste and raw materials, etc; some can be used for heating, biogas production, carbonization, power generation and so on. The appearance of charcoal machine makes the use of straw and corn stalks reach a new height. 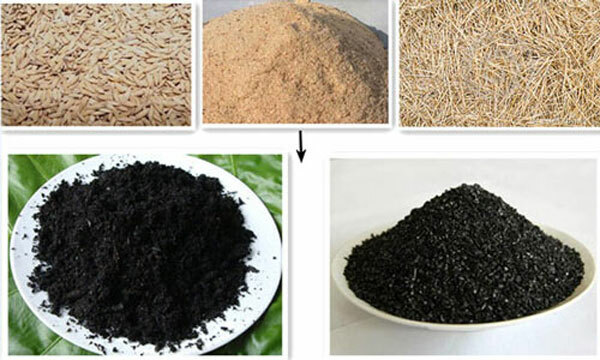 The crop straw can be made into straw charcoal to achieve the best recycling effect and the maximum rate of utilization. Charcoal from Agricultural Crop Stalks? Can the automatic biochar equipment produce straw charcoal? 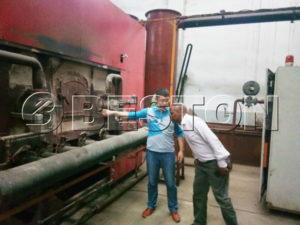 Straw charcoal machine makes use of carbonization technology to make the organic matters like crop stalks fibrosis, hemi cellulose and lignin in straw softened at 200-300 degrees. After softening, crush the organic matters, add appropriate water and adhesive to mix them together. At the same time, put a certain pressure to make the mixed straw materials into curing molding. After that, you can get the newest bar-like straw charcoal. This is the simple operation flow of straw carbonization. In the current stage of development, the technology of straw carbonization is a shift from an extensive economy to a conservation-oriented economy. The carbonization of crops not only enhances the comprehensive utilization of resources and improves the economic income of peasants, but also eliminates the harm to people and pollution brought by the incineration of straw. It is the best solution for the comprehensive recycling development. What is the prospect of investing in straw charcoal machine project? It is understood that there are at least 400 charcoal plants in China, whose scales vary greatly from workshop style to mass production, but they can survive. At present, there are at least dozens of charcoal makers who are preparing for setting up mechanism charcoal plants. These prospective bosses are puzzled in the mind and do not know how difficult to make charcoal factories. There will be many problems in technology, quality, sale and capital, and then they visit everywhere, survey thoroughly, but no one is willing to tell the truth. Gains and losses are unpredictable and indecisive. The conflicting psychology stings the heart of every prospective boss because they are not sure whether they will make charcoal factories. Who can give us an exact answer: yes or no? I boldly advise prospective bosses: in China, we can be engage in everything but it’s hard to run in the end. The key is the overall quality of each operator and the conditions of geomancy. If you own the ability of business strategy, decision-making and business management; the spirit of hard-working, perseverance and failure-free; the base of raw material for a long-time supply, the competition of protection’s cost and the guaranteed fund supported by local government and others, you will succeed. 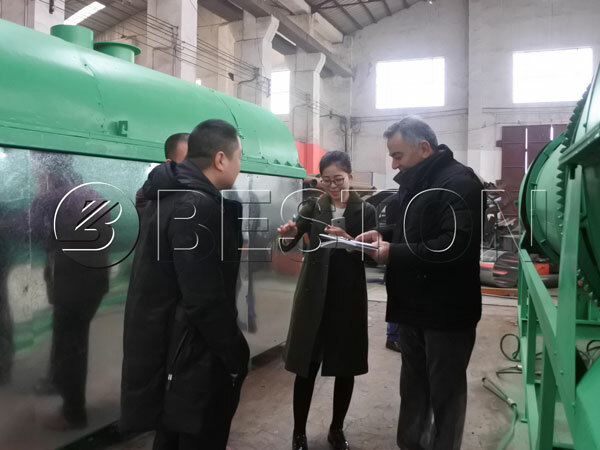 Thirdly, the biochar making machine should have advanced technology, especially the technology of propeller repairing and high temperature carbonization. Moreover, the demand of charcoal far exceeds your imagination. Charcoal itself is a consumable material, and after burning, it becomes ashes and can not be used again, so you can imagine how much charcoal consumed by people every day all over the world. You should seize this opportunity with such a good condition.